The Reserve Bank of India has issued new guidelines for setting lending rate (on loans) by commercial banks under the name Marginal Cost of Funds based Lending Rate (MCLR). It will replace the existing base rate system from April 2016 onwards. Base rate system was introduced by RBI in July 2010 to ensure that banks can not lend below a certain benchmark. Also, to ensure that the changes in interest rate policy is effectively transmitted to the bank customers. However, policy transmission could not become very effective as banks adopted various methods in calculating their cost of funds. At present, the banks are slightly slow to change their interest rate in accordance with Repo Rate change by the RBI. You might have observed that RBI has cut interest rates to the tune of 125 basis points in this fiscal year. But, this has not been effectively transmitted to lending rates offered by the banks. Banks have so far lowered their base rate by only 50-60 basis points. Same is the case when interest rates are increased by the RBI. If RBI increases rates by say 100 basis points, banks increase their benchmark rates by say 50 basis points. So, the ‘base rate system’ has turned out to be not so effective method. In this post let us understand – What is Marginal Cost of Lending Rate? Difference between MCLR and Base rate methods? How is MCLR calculated or determined? Is new MCLR system beneficial to borrowers & banks? What is the impact of MCLR on existing and new home loan buyers? Let us first understand as to how banks make money or profit. The primary function of a bank is to lend money and to accept deposits from the public. The difference between advances and deposits is the income earned by the banks. Operating expenses to run the bank. Cost of maintaining CRR (Cash Reserve Ratio). As you can see, the banks do not consider ‘repo rate’ in their calculations. They primarily depend on the composition of CASA (Current accounts & Savings Accounts) and deposits to calculate the lending rate. Most of the banks are currently following average cost of fund calculation. So, any cut or increase in rates (especially key rate like Repo Rate) by the RBI is not getting transmitted to the bank customers immediately. As per the RBI’s new guidelines, it is mandatory for the banks to consider the repo rate while calculating MCLR with effective from 1st April, 2016. The new method — Marginal Cost of funds based Lending Rate (MCLR) will replace the present base rate system. After considering interest rates offered on savings / current / term deposit accounts. Based on cost of borrowings i.e., short term borrowing rate which is repo rate & also on long-term borrowing rates. Tenor Premium (an additional slab of interest over the base rate, based on the loan tenure & commitments). The main differences between the two calculations are i) marginal cost of funds & ii) tenor premium. The marginal cost of funds will have high weightage while calculating MCLR. So, any change in key rates (increase or decrease) like repo rate brings changes in marginal cost of funds and hence the MCLR should also be changed by the banks immediately. All loans sanctioned and credit limits renewed w.e.f April 1, 2016 will be priced based on the Marginal Cost of Funds based Lending Rate. MCLR will be a tenor-based benchmark instead of a single rate. This allows banks to more efficiently price loans at different tenors based on different MCLRs, according to their funding composition and strategies. Banks have to review and publish their MCLR of different maturities every month on a pre-announced date. The final lending rates offered by the banks will be based on by adding the ‘spread’ to the MCLR rate. The periodicity of reset can be one year or lower. The MCLR prevailing on the day the loan is sanctioned will be applicable till the next reset date (irrespective of changes in the benchmark rates during the interim period). For example, if the bank has given you a one-year reset period in your loan agreement, and your base rate at the beginning of the year is say 10%, even if the interest rate comes to 9% in the middle of the year, you will continue at 10% till the reset date. Same will be the case even if the interest rate increases above 10%. Existing borrowers with loans linked to Base Rate can continue with base rate system till repayment of loan (maturity). An option to switch to new MCLR system will also be provided to the existing borrowers. Once a borrower of loan opts for MCLR, switching back to base rate system is not allowed. Loans covered by government schemes, where banks have to charge interest rates as per the scheme are exempted from being linked to MCLR. Like base rate, banks are not allowed to lend below MCLR, except for few categories like loans against deposits, loans to bank’s own employees. Personal loans, auto loans etc., will not be linked to MCLR. Fixed rate loans up to a tenor of 3 years will be brought under MCLR system. Fixed rate with tenor of more than 3 years will be exempt from MCLR regime, meaning banks will have discretion in pricing the product. For instance, for salaried individuals, ICICI Bank has set a floating rate home loan at one-year MCLR of 9.20% with a spread of 25 bps for loans of up to Rs.5 crore. So, the interest rate will be 9.45% (9.20% +0.25%). This interest rate is valid till 30th April, 2016 (as given in the bank’s website). ICICI Bank has decided to set one-year MCLR as the benchmark rate for their home loans. Though the MCLR is reviewed monthly, your home loan will be reset every year automatically, depending on the agreement with the bank. So, if you take a Rs.50-lakh home loan on 10th April,2016, your home loan interest rate would be 9.45% . You have to pay EMI installments at this rate of interest for the next 12 months. Let’s say one-year MCLR gets revised to 9.% in April, 2017 and the spread remains the same then your home loan interest rate will be reset at 9.25% (MCLR of 9% plus spread of 25 bps). How to Switch from Base Rate to MCLR? If you would like to switch to MCLR system then you have to request your banker to link your loan rate with MCLR instead of Base Rate. Once your loan is linked with new MCLR rate, you can request your banker to reduce the quantum of ‘spread’. Your Banker may charge you one-time fee (conversion fee) for reduction in Spread. Henceforth, you will get the new Rate of Interest (ROI) which is linked with MCLR. If interest rate cycle is in a downward trend, MCLR can be beneficial to borrowers of loans like home loan buyers. But do remember that the interest rates may not remain low forever, when the trend changes the MCLR rate hike can be swift. If you are an existing home loan buyer and planning to repay your home loan in say next few years, you can consider switching to MCLR method (as of now the charges applicable to move to MCLR is not available, you have to account for these charges and then take final decision). If you are planning to buy a property through a home loan, you may take the loan under existing base rate before 31st Mar, 2016. Based on the prevailing economic factors, the RBI may not cut interest rates in the very near future, you may continue with base rate and anyways you have the option to move to MCLR at a later point of time, if RBI cuts rates. As far as banks are concerned, their margins might take a hit in the range of Rs 15,000 to Rs 22,000 crore assuming a 75 basis point decline (source – ICRA). Banks may lose when interest rates drop but will gain when rates increase. So, it all depends on how many instances of ‘rate cuts’ will happen in the future. Latest News (02-March-2018) : SBI Hikes Lending Rate for first Time Since April 2016. SBI has raised the one-year MCLR rate to 8.15 % from current 7.95 %. Latest MCLR Rate Cuts (02-Jan-2017) : State Bank of India (SBI) has made a deep 0.90% cut in its marginal cost of funds based lending rate (MCLR) across all maturities. Following this cut, home, auto, personal and other loans will become cheaper. With this cut, the one-year MCLR is at 8 per cent against 8.9 per cent. The new loans rates are effective from 1st January, 2017. Latest News (04-October-2016) : RBI cuts Repo Rate by 25 basis points to 6.25% and keeps CRR unchanged. ICICI Bank cuts its MCLR based lending rate by 5 basis points and the bank’s new one-year MCLR is at 9.05% with effective from 1st October, 2016. Latest News (02-June-2016) : ICICI Bank has reduced its latest MCLR rate by 5 Basis points to 9.15% from 9.20% with effective from 1st June, 2016. Do you believe that this new base rate system will be beneficial to loan borrowers? Kindly share your views on Marginal Cost of Funds based Lending Rate? I about to take educational loan. my doubt is if every month mclr changes,the interest what i have to pay will continue to vary or the initial stated rate of interest will be constant for my loan. my tenure is given as 15 years. if the mclr go up then my interest will also to be extra paied to the bank? is this benificiary or base rate is good over mclr ? Your MCLR rate will change based on the RESET clause, in most of the cases it is 1 year. You may check this with your lender. I am planning to transfer my existing Home loan to SBI at MCLR. My total balance loan tenure would be 15 yrs. The SBI representative told me that the prevailing margin reset tenure is 1 year. He also assured me after first one year, whenever the interest rate changes, it will effect immediately on my account. But my assumption is, every time there is a change in interest rate, I have to wait for one year (or the next banking year) to effect in my loan. Could you please clarify? MCLR is more transparent, but your banker may or may not reset the rate immediately after an interest rate change by the RBI. I have taken a home loan from SBI in Aug 2015 at 9.3% base rate but now my current base rate is 9.1% . I am currently out of India. When checked with our branch manager, he said I need to visit branch to change from base rate to MCLR and can’t be done online. Is there any chance that base rate would be adjusted in next couple of months? Dear Vamshi ..Tough to predict on specific bank’s base rate, that too for short-term basis. Hi sir, I was not aware of MCLR facility given by bankers. I have home loan in SBH since 5 years, Only I came to know about MCLR by one of my friend recently. By that time SBH merged into SBI. When I approached bank, they charged 10,000/- of processing fee. I was not informed by the bank. before merging into SBI, SBH charged only 1000/-. Is their any solution for getting back amount. Can I approach grievance. Kindly help me. thanks. This has happened to many. All the banks are charging minimal amount, with a block on maximum, whereas the SBI has kept a minimum of Rs.10,000/- irrespective of the loan amount. Axis Bank maximum Rs.5000/-, Indian Bank Maximum Rs.10,000/- , Canara Bank 0.50% of loan or Rs.25,000/- whichever is LOWER. Different banks are following different yards. I have referred earlier in this forum. Not resolved till date. You can write to SBI first and if no response is received you can take up with Banking Ombudsman of the jurisdiction. Long drawn process but some one has to tie the bell to cat. The main reason for all this is RBI , being regulator, has not given any guidelines/instructions while introducing MCLR system, regaridng conversion fees. Dear Rayadurg Ji..Thanks for sharing your views and suggestion! Dear Uma .. If they have mentioned about this fee in the agreement then you can’t do much now. Sir, They did not mentioned any fee regarding MCLR. First of all thanks sorting out the confusion and complication about MCLR loan system. I had taken loan of 27.5 Lacs under maxgain account under base rate system in march 2016. Now loan interest rate is 9.35%. Current MCLR offering from SBI is 8.8%, so it means Base rate systems interest rate would also be reduced…. Am I right here?. So if I want to avail the reduced interest rate offer from SBI with continuing the Base Rate system, is it possible? I mean to say is there a option to apply the reduced rate of interest with or without converting the your interest rate system (Base/MCLR)? Your advice will really help me to take further decision. 1 – May or may not be reduced, depends on your banker’s policies and guidelines. 2 – You can negotiate with your banker on this (regarding rate reduction), it can be possible. I have seen this happening, especially with individuals who have good Credit Score. Thanks for the better clarity. I would like to seek some suggestion from you. I had taken loan of 19 Lacs under maxgain account. Now loan interest rate is 9.25%. I just taken loan in 2015. 1. Is it advisable to convert into MCLR? 2. What would be the benefit if I still continue with base rate interest? Dear Mani ..What is the MCLR rate offered by your banker to you? It is 8.8%, since mine is max gain account. Dear Mani ..You may switch to MCLR if you have no plans to pay off your loan in near future..
Hi.. I need a suggestion. I had loan of 15 lacks in central bank of India which is mortgage loan.and taken in 2011. Switching to MCLR is best or waste? Dear Shiva ..How many years more to go to clear the loan? What is your current RoI and offered MCLR rate of interest? I have availed home loan of Rs.90 lacs from SBI at 9.25 %. Now the bank has offered MCLR liked int., @ 8.95% pa.
1) whether it is worth accepting the offer. in Indian Bank it is 0.50% with maximum of Rs.10,000/- whereas in SBI it is 0.46% with minimum Rs.10,000/-, in Canara Bank it is 0.50% of outstanding or Rs.25,000/- whichever is lower. What is the RBI guidelines on conversion fees. 3) The reduction in future EMI is appx., Rs.2000/- pm and conversion fee of Rs.30000/- will amount paying EMI (say outflow) for next 15 months. In the real sense the benefit is not passed on immediately. I could not find RBI’s guidelines on minimum or maximum switch fee that a bank/lender can charge..
What is the remaining tenure on your homeloan? Are you planning to prepay it aggressively? Remaining tenure is 28 years. We are planning to close it in 10 years. Waiting for your clarification whether banks are justified in charging conversion fees, when there is no guidelines from RBI ? I believe there will be a cap set by RBI w.r.t maximum conversion fees that is allowed..have to search for the notification/circular. MCLR is a more transparent system. Advisable to switch to the new rate basis. Your website is very very useful and i have learn t lot of knowledge in loans. I got the housing loan from BOI at july 2016 with already MCLR interest rate 9.7% for 20 years. But now the rate was reduced to 8.7%. How to avail the 8.7% interest to my housing loan account. Note: My first EMI will start from April 2017 (Rs.19177). Still i have paid interest only. Shall i reduce the interest and How can i change it? Dear Mohanraj ..You may have to wait till the RESET period to avail lower/prevailing rate (at that time). Generally reset period can be 1 year. Kindly check with your bank/lender. Hi, i have taken home loan in march 2015 from lic housing for 72 L , currently balance is 69 L and rate if interest is 9.4%. 1. Should i transfer loan my loan to some other bank? If you can get a deal where the new loan rate (MCLR) is at least .5 to 1% less than what you are paying for..you may opt for the switch..
can u explain how does a bank calculate his mclr with practical example. Dear Deepak ..I do not have that much expertise to quote an example here..You may plz google for it..
You may have a look at this Youtube video.. Need your advice on switching home loan from base rate to MCLR ! current rate 9.25% ( 9.1 % + 0.15 Spread) base rate loan. tenure – 17 years remaining. If 8.8 % MCLR as worst case, considering my case is it advisable to switch to MCLR. It will be MCLR + Spread ie 8.65%. MCLR is much more transparent system and if you have no plans to repay your loan soon, you may switch to MCLR basis. They are charging around 20K as conversion Charges. Please advise. Dear Sathish ..If the difference between the Rate of interests is at least 0.75% to 1%, you may go ahead and switch to MCLR. Yes, The difference is 0.8%. Thanks for your prompt response and suggestion. Could you please suggest on this? Dear Chandra ..You may kindly go ahead and switch to MCLR. I have taken a housing loan during the Month July 2013 for INR 14,40,000 from Bank Of India on the base of floating rate basis, with loan period in 298 Months. Current ledger balance is Rs .12,38,248. Already 3 years 8 Months has left and I paid EMI at a rate of INR 13380 till the date as monthly installment amount . I have further service /employment for another 25 years. Right now floating is 9.65% and frankly speaking BOI current MCLR is not aware as far as I am concerned. Is it worth to switch from base floating rate to MCLR ?Shall I get any kind of financial benefit out of it if I do switch to MCLR now??? Do the bank charge me for that???? if so, how much it would be ???? Does the interest rates remain for ever from the date of switching to MCLR. Kindly check with your banker about the latest MCLR rate and the Spread that is applicable in your case. After choosing MCLR, you can not come back to old base rate system. The RoI on your loan will be reset based on the Reset clause and the prevailing MCLR rate. The latest MCLR rate offered by BoI as on 07-March-2017 is 8.5% (1 Year rate). Kindly visit this page to know abt BoI’s latest rates. Thanks for your valuable response and suggestion. I have housing loan balance of 10 lacs in BOI and currently on base floating rate basis, with loan tenure of 10 years. Already 3 years has gone and my employment period is maximum of 5 years. A;so I have plan to repay some amount and try to close earlier not to wait for full loan period. 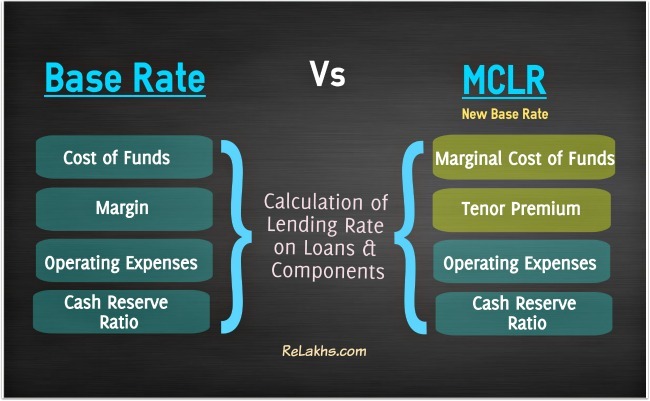 Is it worth to switch from base floating rate to MCLR ?. Any benefit if I do pre-payment/pre closure in next 3 years. Based on your case points, may be it is wiser to opt for 8.7%, as interest rate may hover around this rate for next 1 to 2 years. Hi, I had a 10 Lac Home loan (ICICI / started Yr 2003 / 20 yrs) which i transferred to HDFC Ltd in 2013 (7.3 Lacs @ 10.5% Fixed / 15 yrs) since the rates had gone up as high as 14% for me.. The current O/S is 6.75 Lacs with 134 EMIs pending. Will there be any benefit in transferring it to Axis bank @ 8.5% ROI for 120 months (no processing / transfer or other charges)? Or is it better to continue keeping it at 10.5% fixed with HDFC and prepay by paying 15-20k additional every year for the future years and close it? There will be lot of paper/documentation work.. If you have plans to prepay it, you may continue with HDFC only. i had taken home loan in 2012 from idbi bank of Rs 1150000/- with floating interest rate @ 10.75% for the tenure of 20 years, now running floating interest rates of bank is 9.5%. Now bank offer me the mclr rate 0f 8.55% for 3 month reset period scheme. b) I believe you can check out with your banker about the reset clause. The shorter the reset period, the more probability of your RoI changing as per prevailing MCLR rates. HELLO, I HAVE TAKEN HOME LOAN FROM HDFC OF 35,00,000/- . present interest rate is 9.05 % (based on base rate method) . And axis bank offer me the home loan at interest rate of 8.50 % (based on 6 month MCLR), without any processing fees . What is advisable ? . And also hdfc limited offer me interest rate of 8.95 % after payment of 6500/- rs. Please advised me, what will benefit in long term . Dear Bhavesh ..May I know your loan remaining tenure? It may be a better choice to negotiate your current lender than switching to new lender, there can be lot of costs involved + documentation work. The Loan is new which has tenure of 20 year, and there are not any processing charges involved and my home agreement are still not done. Home is under contraction condition. HDFC offer me besed on RPLR. You may consider Axis offer. But do note that if reset period is 6 months, your Rate of interest on loan may change every 6 months (based on prevailing MCLR rates + spread). I HAD TAKEN EDUCATIONAL LOAN FROM SBI BANK IN 2009 CAN IT BE CONVERTED TO MCLR ??? Some banks like SBI have started to link Personal loans, auto loans and educational loans also to MCLR system (only floating rate loans). So, kindly check with your banker. I have a Home loan in canara bank for 19.2 lakh with lon tenure of 15 years from Mar’15. Curretn o/s is 16.78 laks. I have received a letter from bank for changeover to MCLR type intrest rate, is it advantages to switch over to MCLR. I have almost 10 years of balance tenure. please advise. Dear Pradeep..In case, you dont have plans to pre-close your loan quickly, you may consider the switch. I have taken home loan on 20th september 2016. Am I eligible for Swith over of MCLR Rate. Dear Sandhya ..Have you taken it from a bank or Non-banking finance company? All loans issued by banks after April 2-16 are with MCLR rate only. I took a home loan transfer to SBI and the case was filed into SBI on 25-March 2016. However I took the first disbursement on 2-April 2016. My bank has put me on Base rate, I think that since the date of disbursement was after 1-April-2016, shouldn’t my interest rate be based on MCLR..?? Please advise what should be the basis of my home loan calculation..i,e, it should be based on Base-rate or MCLR? I believe that your application has been processed by your banker in previous FY, they would have linked your home loan to base rate. You have the option to switch to MCLR system (if required) by paying applicable fees..kindly check with your banker. I have opted for MCLR and can you please tell me whether it will be applicable retrospectively. Dear Ganesh..I am unable to understand your query …??? Hi, I have an home loan of Rs 40,00,000 for 20 years (starting Mar 2016) from Oriental Bank of Commerce based on Base Rate (which is 9.70% at the the moment). Currently the Home Loan lending rate on MCLR basis for OBC bank is 8.6%. Should i do a switchover from base rate to MCLR? Dear Gaurav..As this is fresh loan, you may consider switching.. But do calculate the cost of switching..
Dear Hitesh..It depends on the Spread that your bank is quoting for you..
Hi Sreekanth, thanks for for your blog that continues to be as helpful as always. I have a Maxgain loan for 1.1 Cr and am on a rate of 9.75%. The bank has offered me the MLCR rate of 8.95% with a switch fee of 0.575% of drawing power Rs. 10091132 in the account i.e Rs.58024. I am planning to prepay part of the loan- approx 20 lakhs. 1. If i do the prepayment does the drawing power reduce and therefore the switch fee as well? 2. In your replies you recommend waiting for the next financial year before switching- i presume you mean from march 2017- an i know the reason for this. Any other suggestions in this regard would also be welcome. 1 – Yes, as the switch fee is based on the outstanding balance. 2 – Budget rules & RBI’s policy review in Feb etc have to be tracked and see if there is any impact on lending rates.. I have taken a Home loan for Rs.650000/- from DHFL for 15 years tenure. Paying Monthly Installment of Rs.7642/-. Is it better to switch to other Home Loan provider with MCLR option or stick for the same ? What is the remaining loan tenure? Generally, the rate of interest offered by NBFCs is higher than the rates offered by Bankers. So, you may plan for the switch sometime beginning of the next Financial year. I have taken loan from SBI , My loan amount in 2419000 and Account is max gain. I am paying 21000 as EMI . My Loan start date is sep 2015. After current rate change my interest rate is changes from 9.35 to 9.3. What should i do?Should i go for MCLR or continue with my interest rate? What is the remaining tenure on your loan? Are you planning to Pre-pay it in the very near future? My loan period in 30 years and i am not planning to Pre- Pay my loans in next 3-4 years. Dear Raviraj ..You may think of switching to MCLR basis may be in the beginning of the next Fin year. currently my SBI Home Loan is linked to MCLR and the Interest rate applicable to me is 9.35%, I am trying to get it reduced as current SBI Home Loan interest rates are 8.65% from January 2017. But not able to do so. SBI is not ready to reduce the rate as my HL is taken on Sep-2016. Can you explain me the process. Kindly check your home loan Reset Period clause. Banks such as SBI and ICICI Bank Ltd have set one-year MCLR as the benchmark for home loans. currently my SBI Home Loan is linked to MCLR and the Interest rate applicable to me is 9.35%, I am trying to get it reduced as current SBI Home Loan interest rates are 8.65% from January 2017. But not able to do so. SBI is not ready to reduce the rate as my HL is taken on Sep-2016 and my loan reset period is 1 year. No, it can be based on the Reset period clause only. I have another doubt,person who is already in MCLR+spread, after 1 year mclr will be based on rate at that time, but what about spread? currently SBI has increased spread from 0.25 to 0.65 so next reset time , will spread also change for exiting costumer? The Spread usually remains constant through the loan tenure. Kindly check the Terms & clauses in your home loan agreement. I have a home loan in ICICI bank. It has been sanctioned on 13th May, 2016. I think the loan is linked with Base rate not MCLR method; since it is mentioned as FRR/PLR in the loan details. I opted for Fixed interest 9.40% for first 10 years in 12 years entire tenure. Could you please let me know what is FRR/PLR, Does it base rate or MCLR? I would like to switch the loan to MCLR. I’m not sure how to move forward; since the interest type is fixed. But, in the ICICI website it has mentioned that all the base rate customers can switch to MCLR without any charges. I don’t know how the loan got sanctioned with base rate in May, 2016 whereas it should be MCLR. Please guide me on this. Does it possible to switch to MCLR? Thank you!! Kindly note that Fixed Rate home loans, personal loans, auto loans etc., will not be linked to MCLR. Did you take loan from ICICI bank or ICICI home finance? FRR / PLR – stands for Floating rate reference / Prime lending rate. I just got the confirmation email from ICICI. They told that my Home Loan is under MCLR method. Also, MCLR have both fixed an floating interest rate options. Does this information is correct? Please suggest!! In the meanwhile, I will check whether the loan is from ICICI bank or ICICI home finance. Fixed rate loans up to a tenor of 3 years are linked to MCLR. Whereas, Fixed rate with tenor of more than 3 years will be exempt from MCLR regime i.e. banks will have discretion in pricing the product. So, your banker might be right. I am having housing loan of 9L in SBI on floating interest rate (Base Rate) of 9.5%. and remaining tenure of payment is 100 months. Is it advisable to switch over to MCLR rate by paying switchover charges? Dear Ram..You need to do the calculations and take decision. Reduction in interest payment & tax benefit Vs fee payable towards the switch. I have opted for a Max Gain loan of Rs 43,15,550.00. I have parked Rs 8,70,600.00 in the Max Gain account as surplus fund which saves interest for me. Total loan tenure was 180 months. I have already paid 17 EMI’s. So, i have 163 EMI’s pending. Current interest rate is 9.25%. I have not prepaid the loan as i get same advantage by parking the money in Max Gain account i.e. save interest on the parked amount. My target is close the loan in another 5-6 years. So, what will be the interest rate charged for me if i convert it to MCLR with a female co-nominee? Does it sound a good idea to convert my loan to MCLR after you go through my details above? And, i have heard from few people that if a Max Gain account is converted to MCLR, then it looses the benefits of a Max Gain account, that putting extra money in loan account and withdrawing that whenever required. Is it true? Please give in your suggestions. Thanks! I dont think the features of Max gain account will be withdrawn if one switches to MCLR system. For this switch, kindly note that SBI charges around 0.5 to 1% on outstanding loan amount as fee. So, try to do calculations and compare the fee Vs EMI saved (assuming new mclr rate + spread). You need to check with your banker about the applicable new rate to you. In case you have very aggressive plans to close the home loan in near future, switching can be ignored. Please tell me is the charge of 0.56% by SBI for switch over from the existing Base Rate to MCLR exempted/discounted for Defence personnel. I shall be grateful if an early reply is given. Dear Rajendra..I tried finding out if there is any such exempt, but could not find any such info on SBI portal. I have currently have SBI max gain home loan with outstanding amount of 19 lakhs with another 13 years left at interest rate of 9.3%. Is it good to shift to new MCLR method and what are the expenses incurred in doing so.What will be may savings by converting to MCLR. You have to pay around 0.5% to 1% of your home loan oustanding amount as SWITCH fee, in case you do not have aggressive plan to Pre-pay your home loan, you may switch to MCLR in next financial year. I have taken 43 lacs home loan from SBI in January 2014(loan section date 25th Jan 2014) for 25 yrs. My EMI is 39000 pet month. As per loan agreement the interest rate is (base rate + 0.15%) with monthly rests. In my home loan account it shows interest rate as 9.40%. When I will gate the benefit of current cut in interest rate by SBI? And how much it will be? Will it reflect after 25th Jan 2017? What if I switch to MCLR (before/after 25th Jan), how much it will be beneficial? Should I wait for 2-3 month and then switch to MCLR? Awaiting for your reply..! Thanks in advance. I have taken SBI-MAX GAIN Home Loan. How much interest rate will be applied to my loan? As your home loan is linked to base rate, the rate cut may or may not reflect in your loan rate, banker can take final call whether to adjust the rate or not. You may switch to new MCLR basis, may be in the beginning of next Financial year. You may consider switching to MCLR basis sometime in the beginning of next FY. Normally, if an individual has an aggressive Pre-payment plan (like yours), can stick to Base rate basis, but the lending rate cuts have been steep and as opined by you, we may see further cuts (may not be deep) in near future. The reset clause can mostly be one year with home loans (kindly check with your lender). Thank you very much for your reply. Can we avoid to pay the switching charges of 0.58% in SBI in any case or is it compulsory? Dear Rama..It is compulsory in most of the scenarios. Hi! Sreekanth, Thank your for your efforts in making us aware and awake on all financial matters. Hi..SBI will charge SWITCH fee, kindly check with them about the % of fee (generally it can in the range of 05% to 1% of outstanding loan amount). sir after april 2016 all loans sanctioned are only mclr based no option to choose base rate. Kindly note that all loans sanctioned and credit limits renewed w.e.f April 1, 2016 will be priced based on the MCLR only. I have taken home loan from SBI on floating interest rate 10.15% in April 2015 (on 15 bps above BR 10%). Till Oct 2015 our home loan interest rate decrease as BASE RATE decrease by SBI and it reduced to 9.45% (on 15 bps above BR 9.30%) but since Oct 2015 SBI charging same interest rate till now. As per RBI guidelines SBI now providing loan on MCLR basis (current rate of interest is 25 bps above 1 year MCLR, ER 9.15%p.a.). As my loan is on floating interest rate and since April 2016 many times RBI reduced its REPO rate but SBI not providing that benefit to me or say existing home loan account holders. Kindly suggest what I should do in such a case whether we can do some thing? You are also requested to suggest me whether it is beneficial that we shift to MCLR basis loan (SBI is charging 0.50 % + applicable Service Tax of the outstanding for switch over) My loan was approved for 19 Years and I have done some prepayment also without any charges. Yes, you can surely negotiate with your banker about the possibility of rate reduction on your home loan. Kindly note that, banks has the liberty to charge extra spread even if it is MCLR system. The only thing is this new system can be a more efficient and transparent one. Also, the banker may charge ‘SWITCH’ fees. Really loved your blog Sreekanth. You really have made me understand the idea of MCLR in best possible, simple and lucid language. I have taken SBI Home Loan during November 2015 (one year back) with 9.55% Floating Interest Rate (RBI Base Rate 9.30% + Spread Rate 0.25%). During this one year, SBI has reduced the interest rates thrice i.e. 9.40%, 9.30% and now 9.15%. However, my interest rate remains the same. Contacted SBI several times, but they are not giving any clear reply and simply confusing me stating Base Rate, MCLR, Spread Points, etc. and finally telling for switch over of interest rate a processing fee of 0.58% of my Outstanding amount is to be paid. They are also telling that for newly sanctioned Home Loans the interest rate is RBI MCLR rate plus Spread rate of 0.40% with one year reset (MCLR-8.90% + Spread rate-0.40% = 9.30%) where MCLR is floating and Spread rate is constant. Please clarify me on this issue, as SBI is telling that there is no change in Base Rate for my account as of now and if there is any change (increase of decrease) in this, they will change accordingly. Please help / clarify me on this, as how to proceed on this, as another 14 years tenure is remaining. Looks like your Loan account is linked to old Base rate system. SBI wants to charge a processing fee of 0.58% , if you would like to switch from your old base rate system to new MCLR system. You can negotiate with them for reducing the Spread (0.40%). You may also check with other Lender if they can give you better rate of interest. Well I see this is just another gimmick in futile attempt to control the lending rates of bank and complicate things for all. I still do no not see who the changes in rates from RBI will still trickle effectively to economy. While now the MCLR should factor in the repo rate, but how much really the weightage is of this cost of borrowing from RBI for the bank as against rest of the marginal costs. I do not have factual data, but assuming the points in the article above are facts, then we see that in base rate regime a reduction of 120 basis points resulted in 50-60 basis points reductions by banks. that’s almost 50 % transmission. So I don’t see any more efficiency then in previous system with regards to transmission of RBIs rate changes. In fact a majority of the section of loans will not see the transmission of RBI rates until their period of reset is completed. With most loans running into multi years, most will have reset of an year. So the only impact it will have on are the ones who will get the new rates is the new loans. Is the new credit off take only things that effect the economy for RBI? doesn’t the existing loans cost to the business who in turn pass on their consumer effect the economy?. doesn’t the savings for existing home loan borrowers effect the spending? if existing loans have to wait for reset periods then RBIs motive of effective transmission is defeated. For the consumer of least home loan borrowers, it will be a confusion and opens up probability for marketing guys to lay traps. At least the older system of base rate where the rates changed less frequently (instead of monthly under MCLR) consumer could compare between banks and banks were forced to be competitive for this sake. Now one month SBI will have lower MCLR due to its internal factors while the other month some other bank could have lower but just for that month to attract consumer and during month where in max reset occurs, bank will have tendency to jack up rate to lock in for another year. There is lot of opportunity of jugglery for banks and we might see those coming as system mature and banks understand how to play with it. I don’t see any real benefit to consumer. In fact consumer will depend upon his luck during the month his MCLR is going to reset and hope its lowest in the year. At least in base rate he was getting transferred the benefit (or paid more) along with rest of the existing borrowers. In base rate regime it started with high spread and were almost wafer thing when removed. I would think with these thin spread the banks would have to really pass on the rates from RBI more quickly then in past though never instant. RBI rate + bank spread. and let bank decide which ever formals for XYZ marginal cost or ABC profit targets to decide the spread. RBI rate * X + bank spread. and specify x as efficiency at which it wants to transmit changes to economy. and if you think its too much of controlling market then simply abolish it and let banks decide and be competitive. Anyways with frequent regime change from prime lending rate, base rates and now MCLR RBIs any ways is not able to control their rates. Thank you for sharing your views in a very detailed way. The main benefit that MCLR can bring is ‘standardization’ of rate structure across banks and more transparency in the lending rate system. Besides this, banks can still play with spread/margin so that the real benefits of rate cut (if any) may not be passed on to customers immediately or completely. If I switch to mclr what will be my spread .??? What is the % to change to mclr. I have a home loan of 27 lakhs with IDBI having base rate 9.75. When i visited the bank for prepayment they have told me about MCLR. They are offering MCLR 9.45 with the 0.1 fees. It is costing around 3500 RS approximately. Please suggest me should I go for MCLR or stay with base rate. Dear Bhavesh ..It depends on the remaining tenure of your loan. What should the financial strategy of banks be in the new environment of MCLR? Here is one strategy that bank follow to maximize their margins in the MCLR world. Not long ago in the era of base rates, banks hardly had any spread on the base rates. So basically most banks had base rates as their lending rates. Now check the current rates, you will find every bank has a big fat spread on their lending rates. SBI has 0.25%, ICICI has 0.3% on their MCLR for Male borrowers. 2) In a rising rate scenario, all those who availed loans in MCLR rates will continue paying the additional spread on top of the higher MCLR rates. This will ensure banks make a killing when interest rates are on their way up. Obviously MCLR will rise faster in a rising rate scenario. Who said our bankers are weak and lazy? People like Mallya be better careful, My smart Indian bankers are coming after you. Mr.Rajan, get outta here. You are finished. Wow, good and valid inputs. Thank you for sharing your views dear Pradeep. We need to note that Banks as with the case of any company are in for BUSINESS and not for charity. I totally agree with the you that Banks are for Business which is why I am against the policies of Mr Rajan. We should leave it to the market forces and banks themselves to determine what should be their lending and deposit rates. We all know that most of our banks are struggling with bad loans, so they are justified to keep their lending rates high and reduce deposit rates further to the tune that they continue to get deposits. A lot of our farmers and industrialists like Mallya are struggling to pay up their loans. I mean where will the banks get their capital from? RBI should not intervene in these things. Rajan must take cue from Jaitley who is silent on this subject. I am relieved that Rajan is out and hoping for a more tolerant RBI governor to take charge. Absolutely poor assessment. You can not incentivise bad loans pushing capital which comes from taxpayers money. Banks are not there to create NPAs and seek Govt support for capital. They have to account for the bad loans and audit the reasons put forth by the defaulter and take action. NPA is out of proportion now. Rajan has taken the right stand which may not be palatable for the Industry,Trade & Commerce and the politicians. But truth remains truth. Myself Anand I want few suggestions from you regarding CC or OD. 1) What should be minimum spread a bank can offer on MCLR or Base Rate for 1crore ? 2) What should be minimum processing fee a bank can offer for 1 crore ? Dear Anand ..The spread can vary from bank to bank. In 2012 i took a 42L SBI home loan (loan period: 20 years )and currently the interest rate is 10.05% for my loan. now the SBI current rate offed to customers are 9.45%. Bank insist for 0.56 % of principle to switch over to MCLR ( Rs.22,000). I am confused whether i have to stick to 10.05 or switch over to 9.45%, whether its beneficial to convert please guide me and also let me know normally for what % we have to switch over by paying extra cost. Kindly use this calculator, click here..
Also, if you do not have plans to pre-pay your home loan, it might be prudent to opt for lower rate (as only 4 years passed by). One needs to do the ‘opportunity cost’ analysis before switching to MCLR. Personally I believe that 9.55% is a manageable interest rate and it is not mandatory to switch to MCLR system. If you think the ‘switch fee’ is on a higher side, kindly stick to Base rate system. In MCLR calculation they had considered the cost of CRR which is already included in the Demand & Time liabilities Cost, It means they considered the cost of CRR as non-utilization of money in business by bank?? If so then they can also considered it cost as rate of advance which bank is not able to lend because of reserve??? i had Balance transfer top up home loan @ 11.86% PA. for Rs. 18 lacs since july’15. i had discussed with the bank they informed me to pay 0.5% of the principle amount to convert it to MCLR to reduce the rate of interest. please advice me to take the decision. ROI @ 11.86% is a bit on higher side, considering the current interest rate scenario. So, you may opt for the switch (depending on the outstanding tenure and othe related costs). Dear jadeppa..Yes it is allowed. But kindly calculate the cost of switching and then take prudent decision. I took a part loan on March 30th,’16 for 1.5 Cr with balance 1.5 cr yet to be disbursed at 9.5 ((.3 Base+.20 Margin) from SBI for 17 years. I was hoping the rate cut to base to happen automatically but it did not happen and now am being given MCLR option. The question is with new MCLR system is Base Rate likely to become fixed rate given that Bank may have motivation to change it with RBI focusing on MCLR. Possibly if MCLR goes up Base rate will surely be raised and if MCLR goes down SBI will be forced to bring it down for existing customers else there will a lot of push back. Would you suggest that I switch to MCLR or star with Base RAte..? I am likely to pay off my loan in about 10 years while the currently the tenure of loan is is 17 years. It may or many not be beneficial to the end customer, as it is too early to say. However, kindly note that MCLR is more efficient lending rate system and a transparent one. to reduce the ROI (rate of interest ie MCLR + margin/spread). Actually i am to apply for home loan.The amount I need is 3500000 lacs for my home loan.However I have a personal loan of 3,37,000 for which emi is 8900.However the loan is in my name but emi is paid by my brother i.e he deposits the emi amount to my bank account from which the emi is deducted.So i need to know will this be reflected in my cibil score and bring my eligibility down. If you are paying (it is as if you are paying the EMIs only) the Personal loan EMIs, it won’t affect your Credit Score. Regarding the your ‘eligibility’ for home loan, besides your credit score, your income level is also important, based on which the financial institution will provide you the loan. Hi, I have taken a home loan (50+ Lakhs) from ICICI bank on fixed interest rate of 10.15% for first 2 years. I will complete 2 years of my loan in October 2016 and post this – this loan will get transferred to normal floating rate. The floating interest rate is currently at 10.45%. With the introduction of MCLR option from 1st April – the bank is offering me at 9.45% interest rate now. I am wondering whether its beneficial to convert to MCLR orwait till October and then automatically switch to floating. Need some advise. Are they going to charge any conversion fee? If yes, kindly find out the fee details. Also, check out what is the spread they are quoting (MCLR + Spread), you can try to negotiate for lower spread. This is an amazing article. It cleared all my doubts. I would really appreciate if you can give me some information on Basel-III norms. Thank you and glad that you liked my article. To be frank, I do not have (as of now) much idea about Basel III norms. Thanku for d reply. 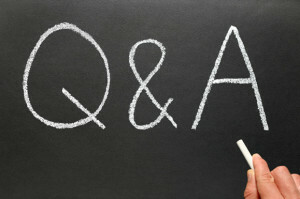 Bt I wud really like to hear sum more from u on this topic. So whenever u get sum info dnt forget to share it wid me. I want to know whether this MCLR is beneficail to banks or not? Dear Amil..Whether it is old base system or MCLR, Banks can add margin (spread) to the lending rate. spread includes only profit or profit and other expenses?????? Recently I have applied a loan against MCLR Bank deposit (NRE) for RS 45000. My loan is now passed. My question is that, how they will calculate the interest rate. Dear vinod..May I know which interest rate are you referring to? I want to know whether this MCLR is benficial to banks or not, that is to increase their customers particularly , or elase what can the banks do to increase their customers in accordance with this MCLR? Dear Amil..I am unable to understand the essence of your query. kindly rephrase your question?? I am currently looking for home loan and my offered ROI is “9.45% (I-MCLR-1Y +0.25%) floating” from ICICI bank. What does the mean of “(I-MCLR-1Y +0.25%) floating” in the ROI. Should i have to take the loan from this bank? Can they change ROI after some time and increases by its own way as they are private banks. Till last Financial Year, most of the banks used to follow their own method of calculating ‘base rates’. But from this FY, all banks have to sanction loans based on new MCLR system. However banks can offer loans at MCLR rate or MCLR rate + some spread (extra margin). And this rate can be RESET at pre-agreed intervals say one year or 6 months. If RBI changes rates, then banks will change their new base rate and can change your home loan rate when RESET is due. Dear All . the article is really interesting and informative . i have heard from a few colleagues that the spread over the base rate can also be changed at the discretion of the lender and they use this to offset any benefit of base rate reduction to the new customers. For example let suppose i take a home loan at 9.70%+0%=9.70% where 9.7 is the existing base rate and 0% is the spread. In future if the bank reduces the base rate to 9.5% , i guess they will increase the spread of my loan by 0.2% so that the effective roi on my loan remains at 9.7% whereas to attract new customers ,bank can offer 9.5%( bank’s current base rate). Not sure how much of this is true..please help. It depends on the loan agreement Terms & conditions. my home loan is at Base rate +0%. Should I switch to MCLR ? Dear Lalet..Kindly check with your banker if they can offer you at MCLR rate (without + spread)?? If yes, you may switch to MCLR rate system. I have a home loan with ICICI with base rate as 9.35% and variance as 0.15% which makes total interest rate as 9.5%. Will there be any reduction in my interest rate or else I need to change to MCLR to get the benefits. If the interest rates decrease, your bank’s base rate will come down but how fast this happens, no one can say it exactly as banks take their own time to adjust the rates based on various parameters (ex; deposits vs advances ratio etc). In MCLR the rate affect can be immediate but again here also the rate change is dependent on ‘reset clause’. If the ‘reset clause’ is for one year, your home loan rate will be reset every one year. If i taken a loan on 31st march 2015 in base rate system, after one year do my loan will automatically convert into MCLR??? Dear Maddy..If your loan is already sanctioned based on old base rate system in the last FY 2015-16 then you can continue with the same system but if you change to MCLR now then you can’t go back to old base rate system again. If i have taken a loan in new MCLR then after one year is it compulsion to change my rate of interest? as it changes in the MCLR or do i have a chance to opt the same.. While taking a home loan now you have to go through the ‘reset clause’, if the reset is for one year and if there are any changes to your banker’s MCLR rate then accordingly your home loan interest rate gets changed. Currently, I have home loan from AXIS bank with Base rate + 0% spread. Effectively my home loan rate is 9.5% as per Axis banks base rate. As per previous Repo rate changes, banks generally reduce their base rate, which were automatically reducing my home loan rate. do these MCLR changes going to change anything for me ? do banks will reduce base rate in future ? will my home loan will be reduced with any further reduction in repo rate ? Earlier, each bank used to calculate their base lending rate as per their own policies & procedures (off-course, as per the guidelines of RBI). Now, with the introduction of MCLR, we can see uniformity with regards to base rate calculation across banks/lending institutions. The major differentiating factors among the banks loan products would be ‘the quantum of spread’ & ‘reset clause’. Also, we can expect the rate changes (increase or decrease) to reflect in MCLR rates swiftly now. Now, whether this new system is beneficial to the end customer or not, that we need to wait and see, as its too early to comment and analyze on this. My current outstanding loan is Rs 3143968 and current ROI is 11.45 from LIC. I am looking to switch my loan from LIC to SBI with current ROI is 9.50 for Women. As you said there is further reduction of rate in coming month so should i wait for some more months and pay some conversion fees Rs 1150 to LIC to reduce loan interest to 10.20. please suggest. Before making the decision, you may try finding out if there are any foreclosure expenses /fees involved at LICHFL and also about the loan a/c opening charges/fees at SBI. If you are eligible to get a home loan at SBI at 9.4%, suggest you to make a switch. But do remember that MCLR is applicable on fresh loans and not the base rate (old lending rate). Even if the interest rates falls say after few quarters, your home loan interest rate will be decreased based on the ‘reset’ clause. The spread on MCLR according to RBI is supposed to be based on the risk profile of each borrower. This means it must vary from a credit worthy borrower to a risky borrower. But all these banks have simply applied the current spread they have on the base rate to the MCLR on all customers. Also another fact is the Operating expenses component on MCLR will be higher for govt banks like SBI while it must be lower for ICICI being private and efficiently managed. But these banks have formed a cartel and the private banks wont lend any lower than govt banks, its always the SBI that announces MCLR first and then private banks follow. Will a common man ever get fair deal from these banks? Whatever RBI does will not be enough to save the common man. Firstly, I would like to remind you that home loans are “Secure” in nature, in that your home is the security to the banks for which they give you loans. So even if I die the day after taking the loan, the banks will recover their money after selling the home. The logic you put making every one a risky borrower will mean banks should lend to nobody, so think about it. Secondly, Credit worthiness is determined by the past behavior of a borrower for many years of his repayment behavior of credit cards, loans, etc, stable job and income for many years. Remember 2008 sub-prime crisis is brought on by US banks lending to non-credit worthy borrowers. If you are only employed for 2 years, no bank will give you a loan. Hence credit worthy borrowers are so important to banks and they could get a better deal for what they are per se. A common man here is someone who needs to avail a bank loan to purchase a home which isn’t a luxury but a necessity. Regarding deposit rates vs lending rates, in the last 12 months deposit rates have gone down from 8.75% to 7.25%. Lending rates have gone down from 10% base rate +0% spread (10%) to 9.20% MCLR + .25% spread (9.45%). Now make your calculations if you can and find out what exactly the banks are doing regarding the two. Yes, everyone is a risky borrower, but the quantum of risk that a bank or homeloan provider sees/underwrites can be different from one set of borrowers to the other set. Not everyone can get a home loan offer from say SBI but everyone can get a home loan offer from say LICHFL. The risk varies and the underwriting policies/guidelines vary. I think , the borrwing money from banks by the public attracts interest known as “Lending Rates”(Base Rate / latest MCLR) Not as “Repo Rate”. How, can be borrowing by Public from Banks and borrowing by Banks from RBI be the “Repo Rate”? RBI has reduced the interest rates by 25bps. I am planning to take a home loan from SBI in April or max May. Also, this rate is valid only till April 31st. Should I wait for May and apply or can i go ahead now, since the reset is 1 year in home loans from SBI is what I have heard. Dear Raja..If you wait for some more quarters, you may see few more basis points reduction, so it all depends on your requirement. But even if you opt for current MCLR, the new MCLR rate (if after reduction of interest rate) will be applicable to you after 12 months. Nice Article. Just want to know if I switch from Base Rate to MCLR for my ICICI Home loan Spread will be the same? Currently I have 0.15% spread. Dear Brijesh..May or may not be, depends on your banker’s guidelines. Very tough to say which is best to you. Kindly note that if you opt for say 3 months, your EMI may change frequently (3m, depending on the changed interest rates). I already own Home Loan with a ICICI bank and repaid almost 15 months and planning to go for a top-up home loan. 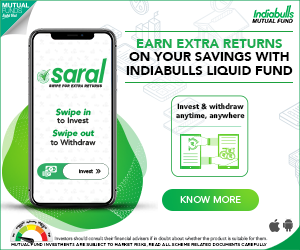 I get good offers from India-bulls compared with ICICI. Which one to be preferred.? India bulls directly top up the loan with their current interest rate while ICICI keep little higher on the current rate for top-up. Dear John..Kindly go through the other terms & conditions (fees, charges, penalties etc) besides the rate of interest and then take your decision. SBI Vs Indibulls?? To be frank its your choice based on your repaying capacity & the terms & conditions. If I am getting/eligible for a loan from SBI then I prefer SBI to Indiabulls. Base Rate Vs MCL – kindly go through the points provided in the article. I am planning to apply for Home Loan in March in SBI. Please let me know, If I should go for it or ask my builder to wait for a month and go for it in April with the new MCLR rate. Which one do you recommend. Also please let me know, how will it benefit me. To start with I dont think it may not make a big difference to take home loan before april or in april 2016. Somehow I sense that it is better to go for base rate plan and then switch to MCLR system as and when we have more information about this system. But kindly note that your home loan banker may charge you for this switch. Thansk Sreekanth for your reply. Will try to get more info about MCLR stuff. A couple of people who work in SBI has told me(ofcourse their assumptions) that MCLR will be atleast 30 to 50 points less than current base rate and so our home loan interest rate as compared to current rate. Dear Deepak..The chances of having a lower new base rate can’t be ruled out too. SBI chairman has ruled out any further rate cuts this financial year. And I guess there is no need for them to reduce base rates after that as MCLR takes effect. Also keeping base rates as is will encourage existing customers move to MCLR. So the chances of base rates coming down looks slim as does RBI reducing repo rates in Feb.
We can’t say there is ‘no need’ to reduce the base rate, because the difference of basis points between the RBI rate cuts & banks lending rate cuts is surely in the rage of 50 to 60 basis points. So, even if RBI keeps the rates unchanged in Feb, banks can cut some basis points from April onwards. But one more point which is been expressed is that banks can adjust this difference by including it in ‘spread’. So, to start with it can be either way. Can you explain more on how to calculate ‘Tenor Premium’? A tenor premium is the compensation for the risk associated with lending for a longer time. Kindly check this link..might be useful. Dear Krishna..You may read : How to get business loan under MUDRA Scheme? My opinion is that the first MCLR that will be fixed by the banks on April 1 2016 for say home loan will be lower than the current base rates. Some estimates say it will be at least 1% lower than current base rates. Assuming they add .75% spread to MCLR the loans will have an interest rate lower by at least .25% than today. So in effect if RBI don’t reduce or increase repo rate in Feb 2016, the chances are the home loan interest rates will be lower than current rates especially with big lenders like SBI, ICICI and Axis. Do correct me if this wrong. It is all in the ‘assumption’ but surely can’t rule this out (your assumption). In this year, RBI has cut rates to the tune of 125 basis, whereas banks have cut their lending rates of around 60 basis points. If RBI keeps the rates unchanged in its next review, that means there is a difference of around 60 basis points which needs to be transmitted. The new base rate may fall to the extent of this, and banks do have the option to add spread to the base rate. So, let’s wait till RBI’s next monetary policy review. Thanks Sreekanth for explaining this in detail and in layman’s language.. I took a home loan from SBI in first week of December 2015 at 9.25 ( MCLR 8.90 and spread 0.30 ) , the MCLR within a month has now reduced by around 100 basis points as of today (after today’s reduction news of 90 basis points) . A 100 basis points reduction causes significant interest outgo difference given my loan account. Now that my interest reset is set at 1 year Can i still ask bank to reset my interest rate be it at some fee and are there incidents of banks resetting it ? If the reset clause is for 1 year then you may have to wait till next year only. Kindly check with your banker directly if there is any possibility of opting for fresh reset clause. Do update us the status, can be helpful to other blog readers as well. Thank you! Hi Sreekanth , Is MCLR rate is applicable for Construction equipment and Commercial vehicle loans ?? Dear Rajulapati ..I dont think that MCLR rate is mandatory for these type of loans. Could not find Commercial vehicle loans being given under MCLR on few popular Lending institutions..